Manchester United manager Jose Mourinho has claimed bad refereeing decisions have cost his team points in recent games after the Red Devils played out a goalless draw against Southampton at Old Trafford. United were lacklustre throughout, creating few goalscoring opportunities, but could have been awarded a penalty when Jesse Lingard’s flick struck the hand of Maya Yoshida in the first-half but referee Craig Pawson was not interested in Lingard’s pleas. Paul Pogba’s bundled effort was ruled out for offside in the game’s closing stages, although replays do show the decision to disallow the goal was correct. Meanwhile, David De Gea made a superb reflex save to deny Shane Long’s effort early in the second-half. The Red Devils are in wretched form, having not won any of their last four games, as well as succumbing to a home defeat by league leaders Manchester City earlier this month. 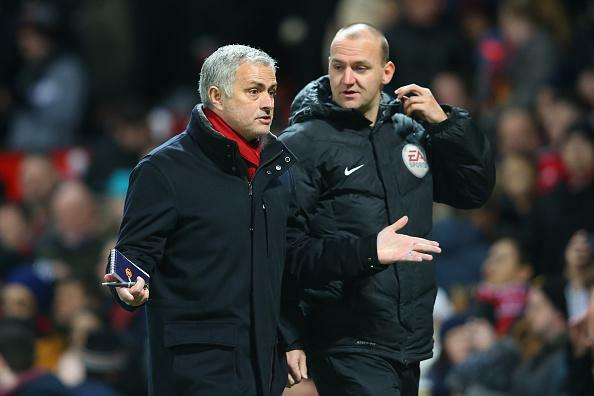 And Mourinho, who was seen exchanging words with fourth official Bobby Madley at half-time, suggested that his side have been denied clear penalties in recent games they have failed to emerge victorious. He said: “There have been three penalties we haven’t been given which have influenced results: [Ander] Herrera against Manchester City, [Marcus] Rashford against Leicester and Yoshida’s handball in this game. However, the Portuguese conceded that referees were not solely to blame for United’s recent downturn in form.